Map of Dorking signed print. 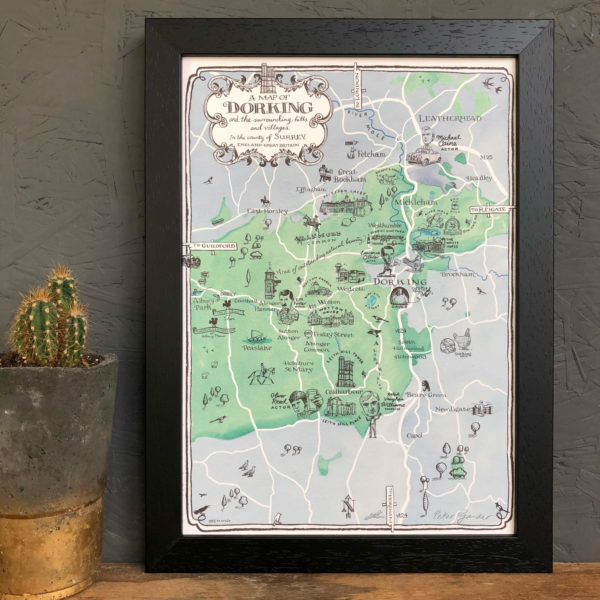 This beautiful hand-drawn map makes the perfect gift for someone who loves Dorking and the surrounding hills and villages. 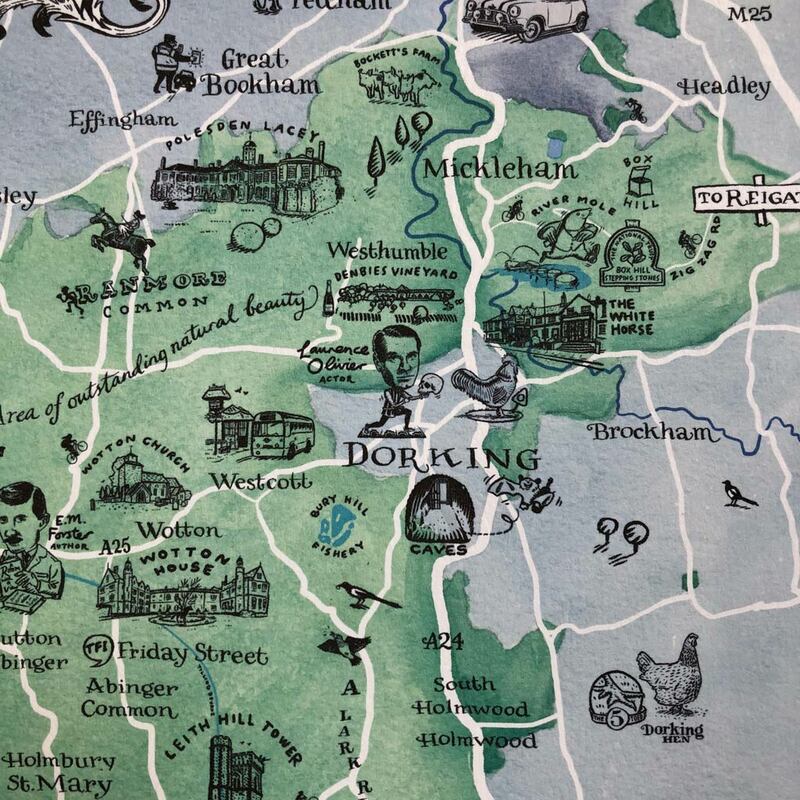 Map of Dorking signed print. This map is beautiful piece of wall art for the home. 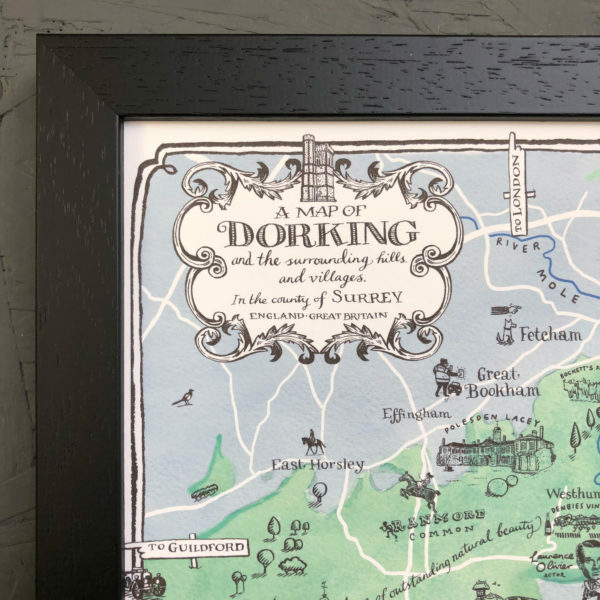 Perfect for someone who loves Dorking. The map has all sorts of fun and quirky details. Plus it’s also quite useful. Map of Dorking signed print. A4 is available framed or unframed. 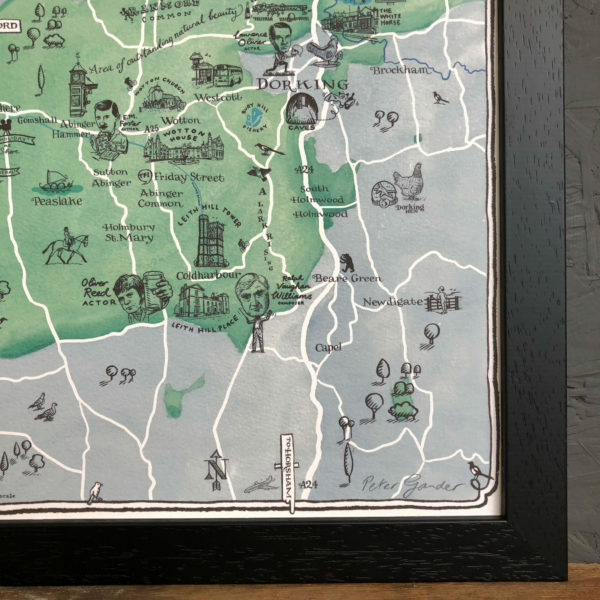 Black, white or oak frames to choose from. A3 is available unframed only. Made from: 300gsm high quality paper.